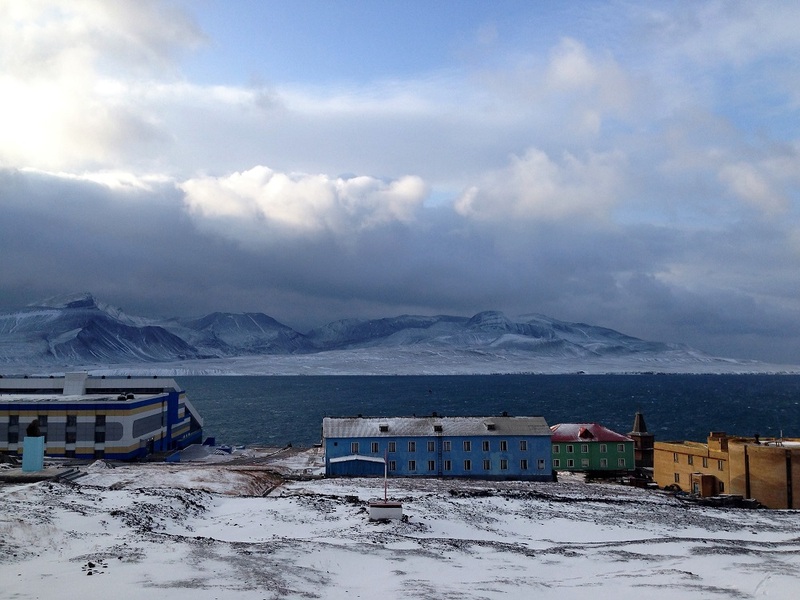 Life in Svalbard: New frontier or the last resting place of the USSR? Many come to the Russian mining town of Barentsburg on the Norwegian Arctic archipelago of Svalbard hoping for a glimpse at the last little island of the Soviet empire. But is it still there? Western tourist agencies love to present Barentsburg in Norway’s Svalbard archipelago as a place where the atmosphere of the Soviet Union has been preserved almost untouched. Indeed, from 1920 onward this settlement, the second-largest on the island of Spitsbergen, was home to Soviet miners, essentially isolated both from the Norwegian part of the island and from continental Russia. Dieter Muller from Germany is one of the many tourists who, attracted by came to Barentsburg to see how people lived during the Soviet era. "We've never been either to Russia or the Soviet Union, because it was quite difficult to get a visa there," said Muller. The Arctic archipelago of Svalbard belongs to Norway, but citizens of more than 70 countries that signed the Svalbard Treaty in Paris in 1920 can live on the archipelago on an equal footing with the Norwegians, which is unique for international policy. Presently, the archipelago has only Norwegian and Russian settlements, as well as Chinese and Polish research stations. In the 20th century, Svalbard was a source of coal for Europe. But in the last 20 years, the coal industry has fallen into crisis, so the archipelago has begun to actively develop the tourism industry. One of the most popular tourist attractions in Svalbard is trips to its Russian part, to the settlement of Barentsburg. Muller admitted that he was slightly disappointed with Barentsburg. "I thought I'd see something from another age – something that disappeared with the fall of the Soviet empire," he said. "But Barentsburg is a modern northern town of 500 residents, where there is a museum, a concert hall and even a brewery. Almost all the buildings look brand new, and even the hotel has three stars." A few years ago, the Russian government launched a large-scale project to develop the Russian settlements in Svalbard, including the renovation of buildings and the expansion of tourism infrastructure. But life in Barentsburg is more difficult than it might seem. "We have four months of the polar night and four of the polar day, said Oxana Merezhko (name changed), an employee of Arktikugol, the Russian coal-mining company that operates on the archipelago. "Because of this, many have health problems. The climate is rather harsh here, not everyone can stand it. My daughter could not get used to it, and my husband and I had to send her to the grandparents, and we see each other only during vacation. Nobody has enough fresh fruit and vegetables, and also trees." For Oxana's husband, miner Anatoly Merezhko (name changed), the chief concerns are the working conditions. "Our mine has little coal left," he said. "To get it, you have to work in still deeper and more dangerous areas. Never a year passes that some miner dies or ends up disabled. I've been working here for almost four years and lost two friends during that time." The situation in the coal market does not contribute to economic growth. "Almost everything we produce is used at our own power plant," said Anatoly Merezhko. "The mine works for itself, but not for commercial gain." However, the Merezhkos do not regret having come to Barentsburg. Almost all of its residents are citizens of Ukraine from mining families in the Donbass region. The wages here are several times higher than what they can earn at home. "We've already saved enough to buy an apartment, now we are saving to buy a car," they said. "We’re also saving for housing and education for our daughter." While in Barentsburg, they were able to avoid the military conflict in the Donbass. "Many of the locals were touched by the war. Some had their homes destroyed, some had their relatives killed. We’re very happy that our daughter is in Russia, with her grandparents,"
During their life in Barentsburg, the Merezhkos fell in love with the north. "It's always quiet here, you are at one with nature," said Anatoly. "From our window we see the ocean and the mountains, and this is probably the best landscape in the world." When the Merezhkos’ contract expires this year they will return to their homeland, but they already say they will miss Barentsburg. Svalbard boasts the world's northernmost airport, Longyearbyen. It receives daily SAS and Norwegian flights from Oslo and Tromsø; Finnair flights from Helsinki will be launched in the summer of 2016. A round ticket costs from 300 euros. Barentsburg can be reached by helicopter (year-round), snowmobile (in the winter) and by boat or cruise ship (April-October). There is no regular direct transportation.